The Osborn Cannonball House Museum 1840 East Front Street in Scotch Plains, NJ will be open on Sunday, December 1, 2013 from 2-4pm. 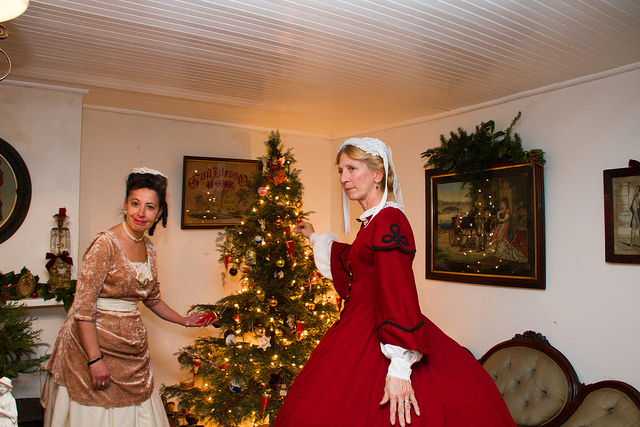 Featured is our Victorian Christmas tree and1800’s winter clothing display. Join us for hot mulled cider and snacks. Also see our recently acquired 1880’s Mason and Hamilin reed pump organ. Costumed guides will conduct tours. This will be the last open house of the Museum for 2013. It will be closed for the winter and reopen the first Sunday in March 2014. Meeting/Road Trip – February 25, 2014 – 125th Anniversary of Willow Grove Chapel Meeting – November 26, 2013 – Where were you when Kennedy died?